The top three mobile payment use scenarios are in restaurants (71%), taking taxi (49%), and buying fast food (45%). 83% prefer to use apps, such as Alipay, for payment in 2016. Hardware-based payment solutions are losing adoptions in 2016. 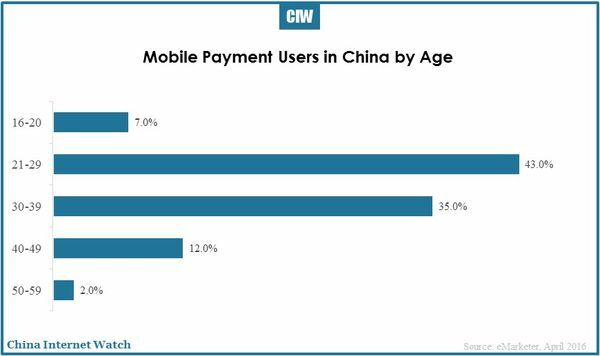 Only 13% of mobile payment users in China use Apple Pay in 2016, 58% of which are between 18 to 34 years-old. China proximity mobile payment users doubled in 2015 and there will be 195.3 million smartphone users using proximity mobile payment in 2016.